An abstract watercolour design toiletry bag in blue brushstrokes. 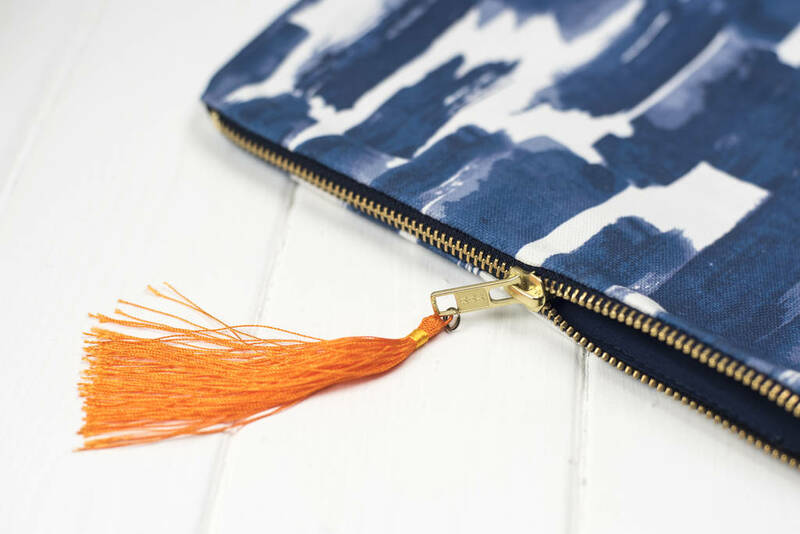 Wash bag with metal zip and orange tassel detail. Designed and Made in the UK. 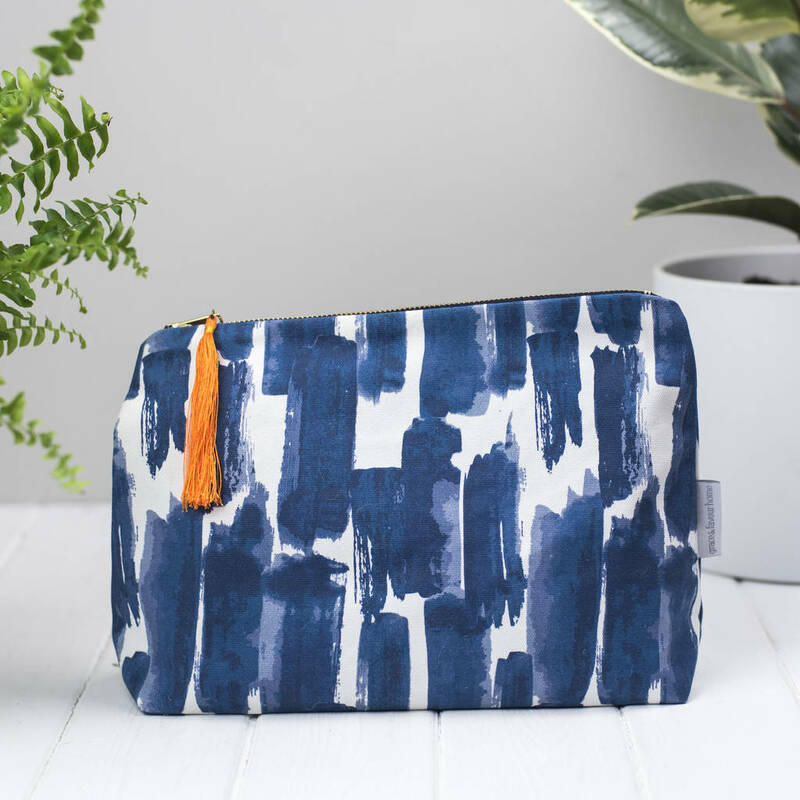 A handy sized wash bag for travel or bathroom storage. Our Paloma fabric design has an abstract pattern of watercolour brush strokes and is part of our 'Cadiz' collection. There are four maore fabrics in the range - Paloma, Safiya, Isabel ans Marisol. These use a mixture of abstract and geometric designs based on watercolours to add depth to the designs. 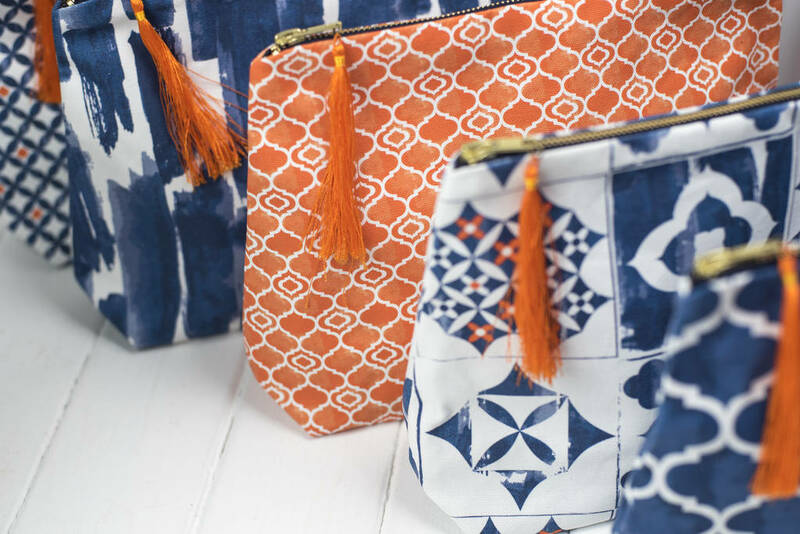 They also take on Moorish patterns to help give a Mediterranean feel. A metal zip with an orange tassel detail helps to complete the stylish look. Pattern placement may vary from image.